A couple of videos for you to indulge you senses into this evening. The pair of Class 20s seen through St Budeaux, and the Class 31s seen departing Par. Glorious! Could you really get any better? 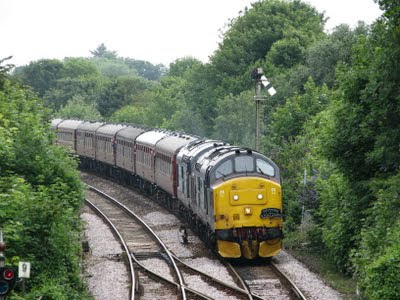 Cornish countryside, a double heading Class 37, semaphore signaling and St Erth station. The perfect combination for a Snap on Sunday! This was Spitfire Railtour’s Kernow Explorer (?) on its run back up country from Penzance. I question the name, because I can’t remember which was which, seeing as 3 tours operated down to Penzance on Saturday. All three tours featured double headers, consisting of 37s, 20s and 31s. Two Ex-Bristol Olympians have lived to fight another day, both spotted in service today (25/06/11). 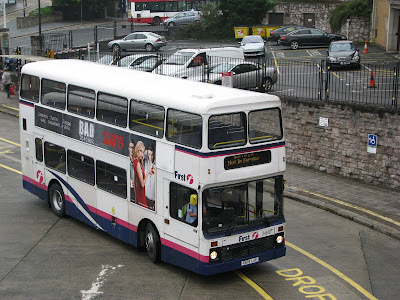 Firstly is K619 LAE was believed to have been withdrawn and scrapped, but was out again today seen coming into Bretonside, before presumably working a 93, but possibily an X80, in the case of a shortage of Tridents avalible. Secondly is newly converted L637 SEU. This is the Volvo that had a bit of an incident with a low bridge in Falmouth a few months ago. She has now been fully converted to open top form, so as not to waste this perfectly good bus. Certainly nice to see a bit of variety on the open topper front. 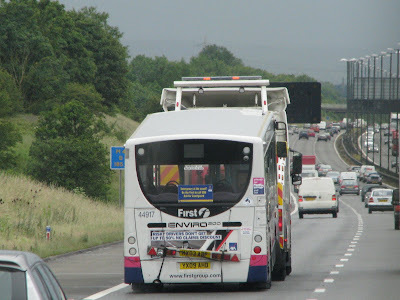 But still, nothing beats those lovely D-GHY Volvo B10Ms! It has been believed among the local spotters circle that A-Line's A182 MNE was likely the only survivor from Smiths' A-MNE batch of coaches bought new in 1984. Its not exactly every day you still see A-reg coaches playing their trade, especially when you consider the amount of Volvo B10Ms that have been made over the years. Well after some research, I can confirm that A182 is certainly not alone! I found three more survivors still in daily use just as A182 is down here in Cornwall. Firstly here we have A186 MNE. Amazingly this one is based about as far apart from A182 as possible, in Motherwell, Scotland. Amazingly, she passed her new MOT just today, so looks set for another year of work for A&C Coaches *Correction, she now operates for United Coaches in Hamilton. The photographer told me that this one really is still in frontline service, A186 is off across the ferry to Belfast this coming weekend! 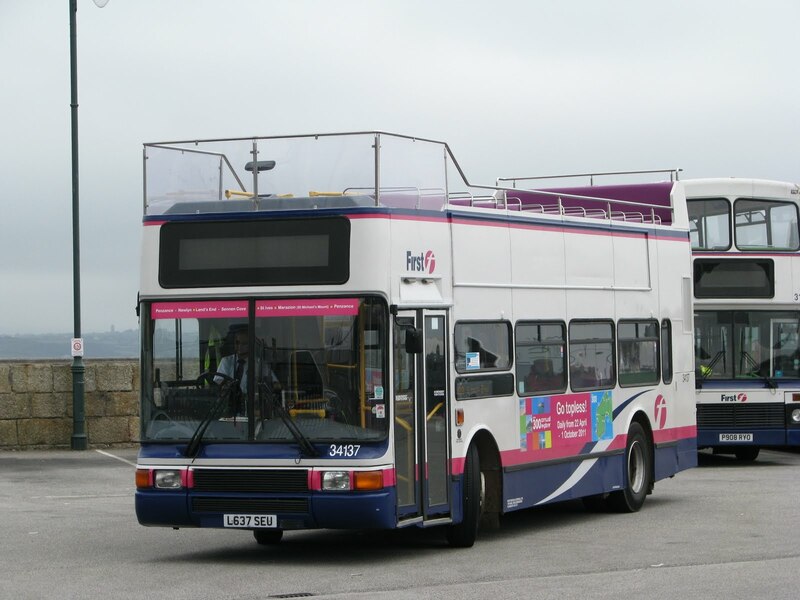 A182 of course is also the pride of the fleet at A-Line, but whether she'll be off on trips such as that, who knows! Certainly shows how strong the early B10Ms still are though. A182 has performed pretty much faultlessly over the time A-Line has owned her, apart from the odd fuse blowing, and assorted little 'stupid' problems. A169 MNE survives in Wales working for James Travel, and differs to A182 as to the fact this one is a Leyland Tiger underneath the similar looking Van Hool bodywork. The gold livery certainly seems to make A169 look that bit more up to date. I thought it might have been some cosmetic modification, but A169's front is exactly the same as A182's apart from the colour, and assortment of badges. A Leyland Tiger surviving in daily service surely must be a real rarity, so well done the James Travel for keeping this one going, I thought surely it must only be the common Volvos that survived. Lastly is this photo of A176 MNE, pictured when brand new in 1984. I've always been intrigued to see how the batch looked when working for Smiths, so here is the answer! Glorious looking coach. The photo caption says that the coach is still registered to a firm in Dublin, so this one may also still be surviving somewhere in the UK! Quite amazing to think a batch of coaches, now 27 years old, still have 4 survivors playing their trade, with several still in frontline service. It really shows that they just don't build them like they used to anymore. Of course Smiths did always have a very good name, and it would have been a firm buy when taking on their old stock, and I'm sure this is why so many of the batch do still live on. 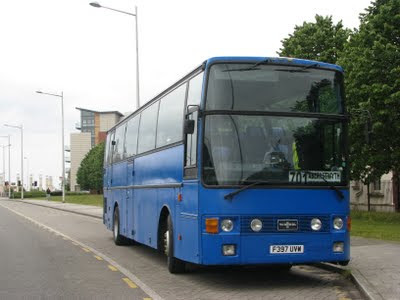 Its not every day you see an A reg coach still running around in service, so to find 4 that all started out from the same place 27 years ago, is really quite an achievement. Now who fancies a reunion!? Many thanks go to the various photographers from Flickr who have been kind enough to allow me to use the photos on the blog. Simply click on the photo to view their assortments of photos, including more of A169 and A186. 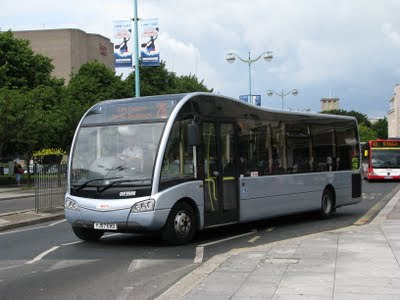 This week's SoS is of one of Western Greyhound's brand new Optare Solo SRs. WK11 APY, and sisters have been bought brand new to operate WGL's 3 routes between Newquay and St Austell. 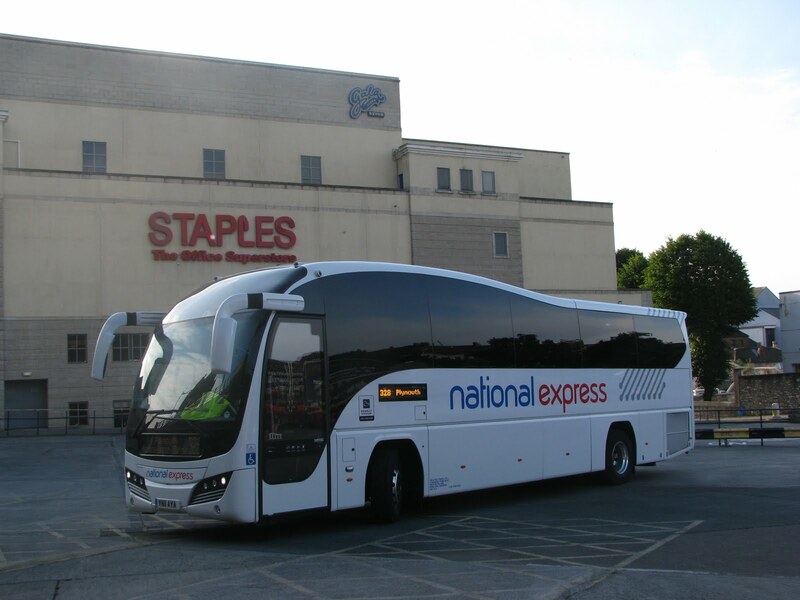 The SRs are certainly stunning looking vehicles, and really suit the Western Greyhound livery well. I took a trip on the 527 down to Newquay on one, and indeed they really do seem to be built well. The engine certainly pulled well even on some of the steeper hills. The last time WGL operated a Solo SR was back in 2008, when they took on a demonstrator to see how the bus would handle the Cornish roads. If memory serves me correctly, this was the same Solo that Plymouth Citybus had on trial, which would make it YJ57 EHD. It hardly seems 3 years ago to the week, that this was in Plymouth! STOP PRESS: Indeed the bus did see service at Western Greyhound. I've just found a comment from one of the drivers when looking for a photo of it. "I once drove this bus when it was an Optare demonstrator. We had it at Western Greyhound, but found it to be woefully underpowered." Perhaps some improvements have been made since then, because WK11 APO certainly didn't disappoint on my trip. Its taken me time just to work out how to structure this post. This is my personal opinion on the Elite, but I also wanted to give a more rounded picture of this fantastic vehicle, so I reckon the best way to do this is a colour coding system. The Elite, even now really retains that wow factor. Every time you see the beasts, your jaw will drop. The design is simply stunning from every angle, although when you actually step inside, the lovely panoramic view isn't retained quite as well thanks to a pillar right across it. 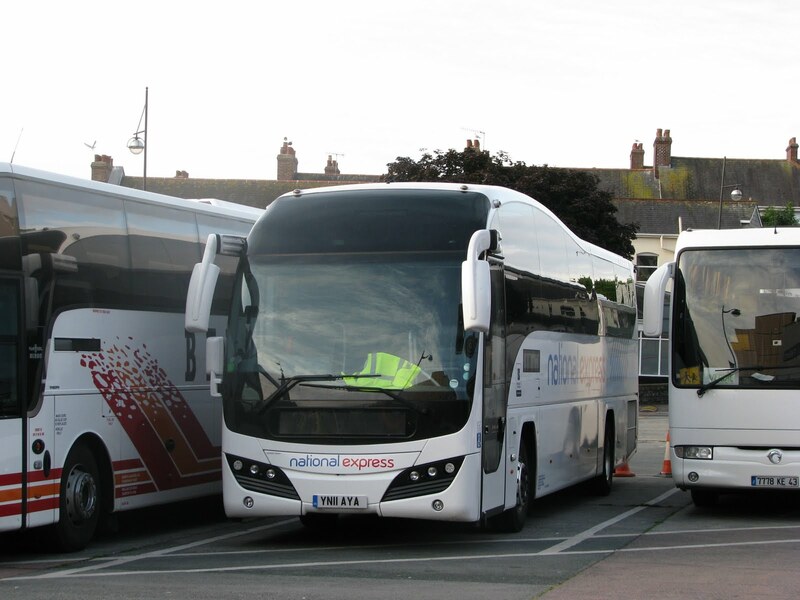 Of course this is essential, and I'm sure Plaxton made every effort to try and overcome this,but it is a shame. The other thing I noticed is that the top part of this roof line was really quite dirty. 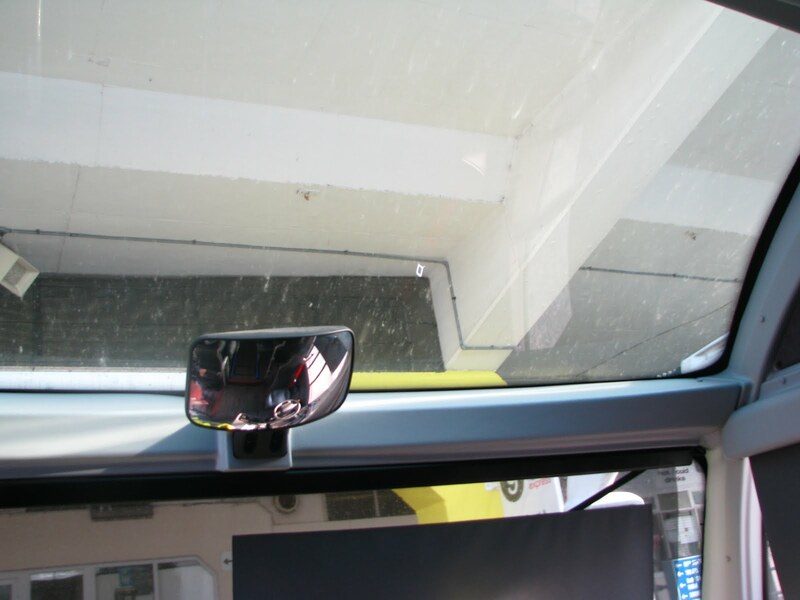 Interestingly, the Van Hool bodied DAF I featured in the last post has windscreen wipers which clean the "passenger's", part of the window, could the same have been done for the Elite I wonder? The leather seats are indeed very smart and really give the coach a modern look, while also feeling very luxurious although personally, I still prefer a decent cushioned fabric seat! On a cold morning when you're the first one to sit down on the seat, leather generally isn't that pleasant! The interior of the coach was indeed very quite, with very good sound proofing, making for a very relaxing and quiet ride. Possibly too quiet, I could hardly hear what the engine had to offer! The speed was fair, but not amazing. It coped with Rattery bank and the like, but it didn't power up there with quite as much gusto as I would have expected. I presume the body on these must be pretty heavy though, which might explain some of it. But the gearbox on the Elite, is what really lets it down. It pains me to say that, but the whole experience is ruined by this bloomin auto box! Its quite a difficult task to explain it, without experiencing it for yourself, but the gearbox tries to mimic a fully manual gearbox. On changing up it gives a delay before changing. The problem, is that its still an auto box! At low speeds it changes up like an auto gearbox would, very early. The particular instance I will remark upon is pulling away across Exeter Street from the Barbican. It's a low speed corner, but you still need power, because its on a slight incline. The gearbox changes up 3 times within this very short manoeuvre, meaning power was lost for at least 50% of the time. With the power then being applied and taken away in such short succession, it made for a really jerky and uncomfortable experience. Luckily this was only for a short time, but I dread to think what it could have been like if you were in slow moving traffic. It felt like it was the driver 'playing' with the throttle, power on, power off. I put this in red, simply because I don't know if passengers would be this critical! They may have not noticed it whatsoever, but this really sticks out for me, and its such a shame! It tries to mix the best of both worlds, taking away the clunky changes of an auto, but maintaining the ease of drive for the driver. But it just didn't quite work! Interestingly though, the Volvo B12B's gearbox which I had for the Megabus part of my journey was fantastic! It similarly mimicked the clutch, but it was much shorter than the Elite's changes, and it worked perfectly! The problem from the Elite's point of view would be that the gearbox is much louder, in that it still makes a lot of whining noise, where as the Elite's is totally silent. The Elite is certainly an all round amazing bus, but the Volvo B12B with its much more interesting gearbox, its amazingly powerful and 'boomy' engine, and proper fabric seats won it for me! The Elite unfortunately, seems to be style over substance, however much it pains me to say it! Clagging DAF, with the driver finding it hard! A quick video tonight of how not to change gear! This was taken in Cardiff on Friday and is of Coach Travel Wales' DAF, F397 UVW. From what I could see there was no legals of company branding on the coach whatsoever, I've only found out the company name by searching for the bus on flickr. The coach certainly made a decent sound though, with a nice bit of 'clag' out the back! I couldn't quite decide between these two for this week's Snap on Sunday, so I will post both! 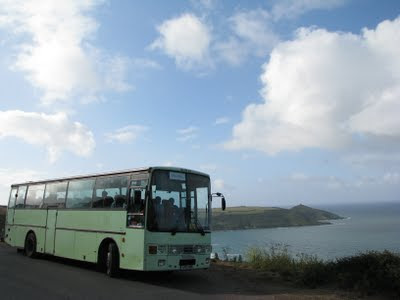 This is A-Line's A182 NME pictured looking across Whitsand Bay in the morning sun, looking over towards Rame Head. It is hoped (providing that she doesn't get booked for a private hire) she will be in attendance at WNPG's Plymouth Hoe Rally this year. To celebrate the end of my AS Level exams, I treated myself to a trip out to Cardiff and Bristol. I'll move on to tell you about the fleets I found there at a later date, but for tonight I thought I'd show you the buses that followed me up there. Firstly several of the mini Enviro 200s from the same batch that we had in Plymouth have been cascaded to Bristol. Several are seen here, along with 44917 which was on the motorway heading back from Wales, presumably from Swansea to Bristol. 44917 unlike the other two in the photos was based in Plymouth for a short time, and was one of the batch that had been sent to Swansea. Apologies for the quality of the photos. My camera really doesn't like to moving photos in fading light, even though this was on a very fast shutter mode. Much more surprisingly though, this little Dart appeared! Believe it or not this is Ex-FDC WK06 AFU. It was reported just a day week before that she was seen on the M5 along with sister WK06 AEE. It was presumed they were being returned off lease because these were new to Truronian. But well here one of them is again. 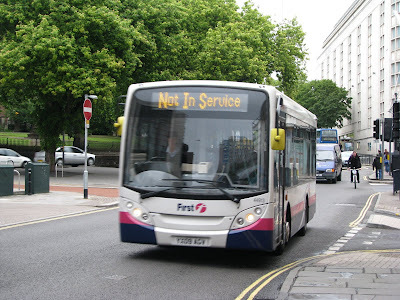 Although not in Barbie 3, it has retained First fleetnames. Strange to see it in Cardiff of all places though, seeing as First only run 2 services into Cardiff, both pretty infrequent, so presume there isn't a depot for some miles away from Cardiff itself. What was even more strange, is that the bus wasn't even in service. Two what looked to be engineers were aboard, so I really don't know what was going on. So it shall be interesting to find out if we can complete the story as to whats going on with these Darts, presuming that the sister has also followed suit. 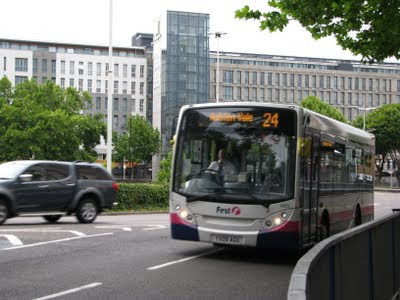 What are the chances of that though, I go nearly 200 miles, and I still see the same buses! Well they tried their best to hide it, but nothing escapes me! Going through Milehouse this morning you could see the roofline of the B7, but there was a Volvo B10M parked in the way, and later a Dart. After this the doors were brought down and you could see no more. But, while stopping off to photograph the lineup of Mercedes 709s down the depot, what appears, but the newly painted B7! Perfect timing, if I do say so myself. So here you have it. My personal opinion, Stenning's design looks even better on the decker! The ratio of dark to lighter red is just that bit better on the decker, and looks more in proportion. With the summer sun beating down on the bus, it really did look a treat. What those boys can turn out in those sheds is fantastic, and the quality of the work never fails to amaze me. The branding on the side is of a similar fashion to what is seen on the Dart, with this advert giving details of the PCB website. At least with this one, there will be no dispute about grammar! I'm very much looking forward to seeing these hit the road, so keep your eyes pealed! Jackett Coaches takes over the 87! 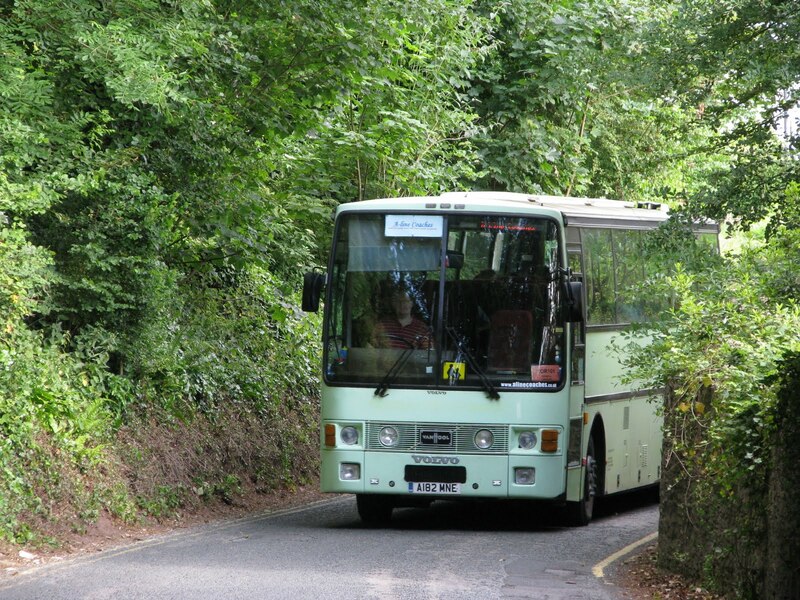 New company, Jackett Coaches, took over the operation of the 87/A, from Tavistock to Bere Alston and Bere Ferrers last week. 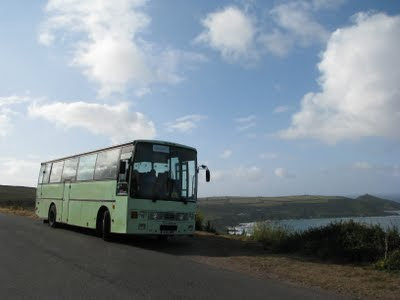 The company, owned by Trevellyan Jackett, took over from First Devon and Cornwall's Tavistock depot on May 23rd using Dennis Dart MPD, BX54 DLD, and Mercedes Vario R810 HWS. The Dart was new to Travel London, and has been converted from duel door to single door before starting work at Jackett. The Vario has come from Andybus in Chippenham as one of a batch of four new to the company. I believe the timetable has been kept the same as when First were running it, to simplify the transition process, so less people would be confused about the new service. From what I've heard the service has been doing very well over the past couple of weeks. Of course in these tough times it can't be an easy feat to start a bus company from scratch, so Mr Jackett certainly deserves praise for being so brave, and hopefully the locals will support him in this venture! Photos once again come with thanks from Tom Pearce. 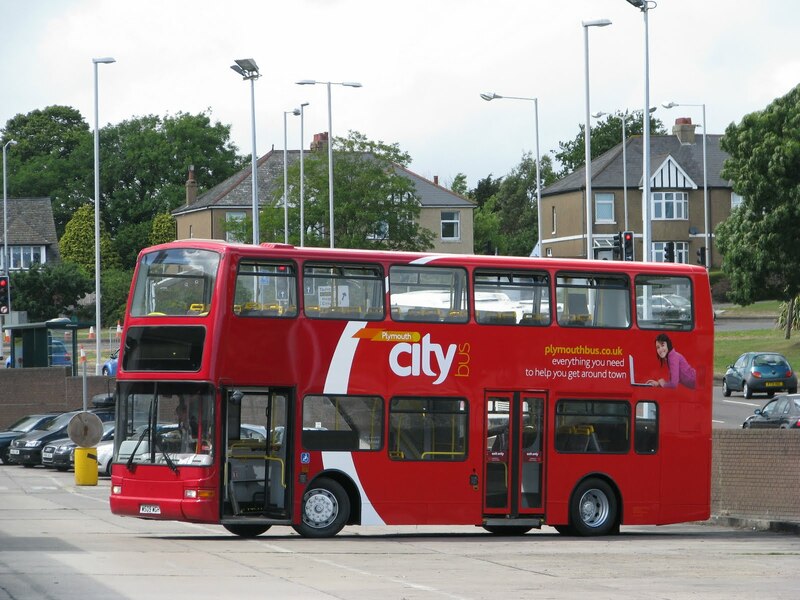 Modernisation continues at Plymouth Citybus, with the first of the Plaxton President bodied Volvo B7s being painted into the new version of the Plymouth Citybus livery. With many thanks to Tom Pearce, I can bring you this photo of her in the paint shop soon after completion. You will also note that the original London spec roller blind has now been taken out, and a new LED blind fitted in its place. 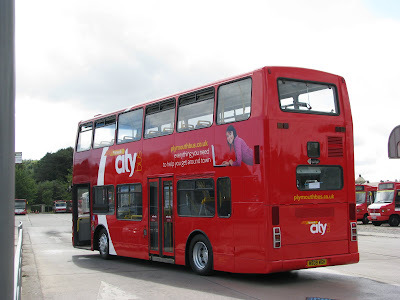 As with the design for the single deckers, there appears to be no room for advertising boards, so just contains information about Plymouth Citybus down the sides. The bus is certainly looking much tidier than it was when it arrived from London, and it looks like the depot team have again done a sterling job. Also interesting to note is that the middle doors have again been retained. On the Mylenium bodied examples, the disabled access ramp was located in the middle door, so I would presume that this is the same for these batch of buses. I'm certainly looking forward to seeing these out on the road, but there can't be much time left now for the remaining step entrance Dennis Darts. 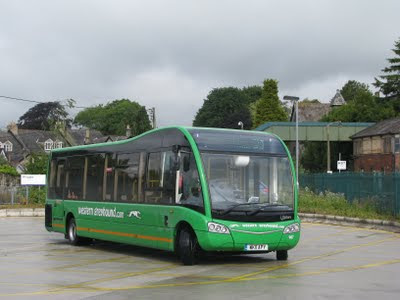 Go Ahead are now also modernising the Plymouth Citycoach fleet, with this new arrival. 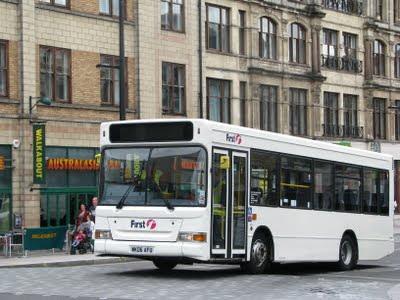 BX11 GVP is a Plaxton Panther boded Volvo B9R, currently in just plain white. Good to see that the trials with the demonstator of this time must have gone well, and that the PCC business itself is still going strong! Unfortunately First are now winding down the Truronian coaching side of the business they bought in 2008, which is certainly a shame, although I'm surprised its lasted this long! 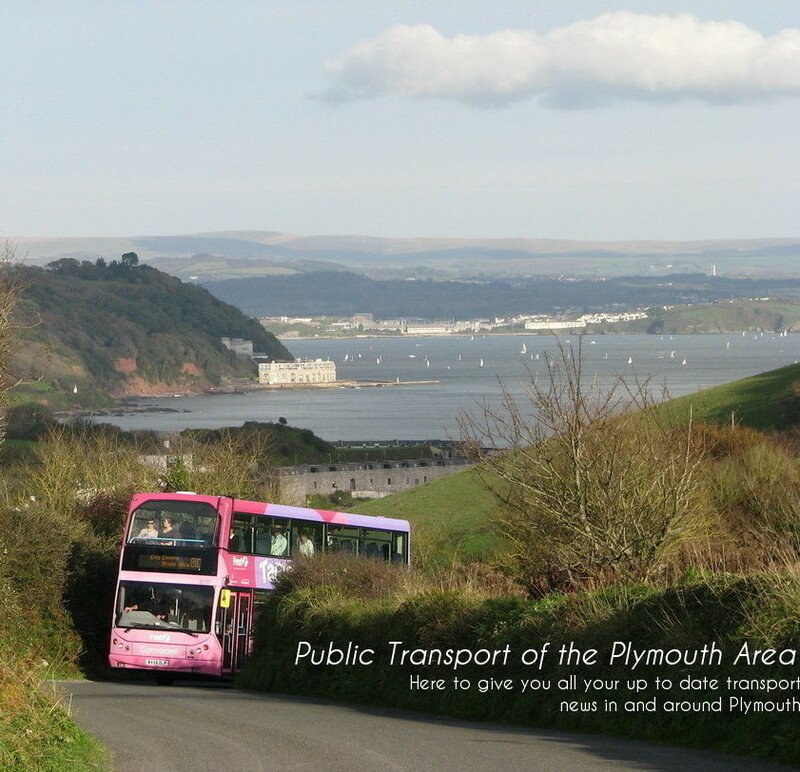 Good to see that Go Ahead have made a real effort with Plymouth Citycoach though, with the future seeming secure for years to come.